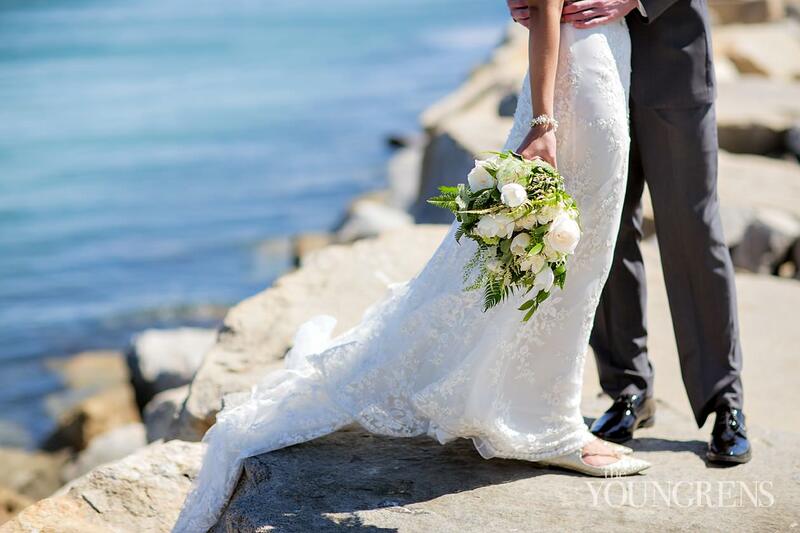 The ocean breeze that reached across the cliffs of Dana Point reminded us all to look out over the immense blue expanse that lay before us. 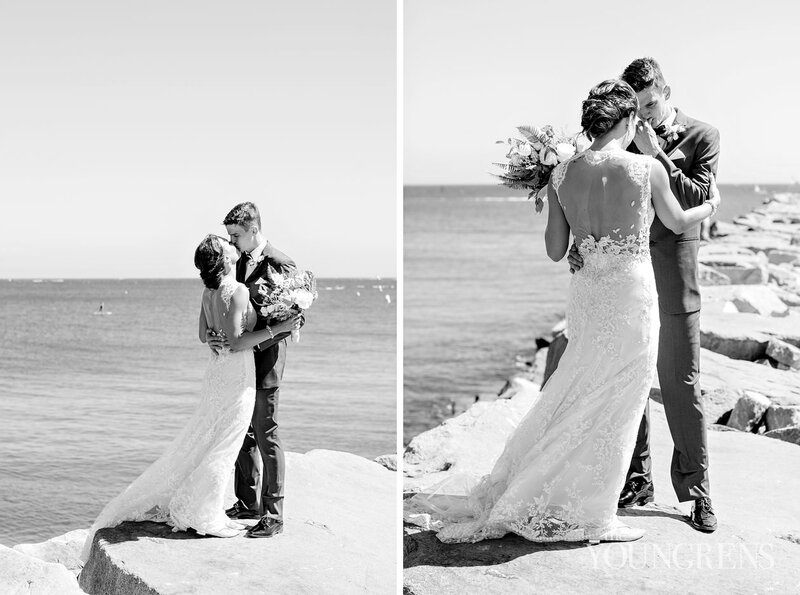 This place is special to Laura and her family, and you could see it in her eyes whenever she looked out over the water.In her heart, Laura shared this day with her mother who has passed away, and her memory lived strong with every wonderful moment.In her arms, Laura shared the day with the love of her life - a strong man with character, integrity, and passion. 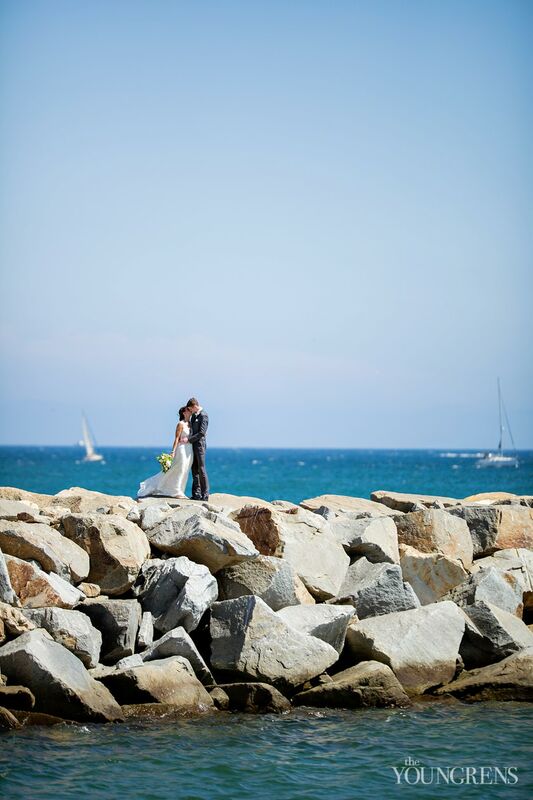 And Ben held her closer and closer with every passing moment.Below us, the deep blue of the water felt like a reflection of their partnership and passion together - beautiful and endless.Ben and Laura live in Houston, but they traveled to Dana Point with their friends and family to say, "I do" next to the big blue ocean. 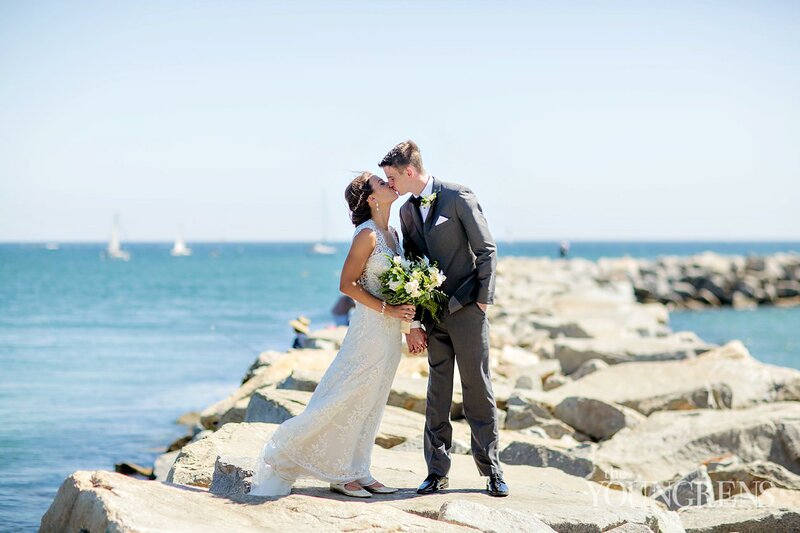 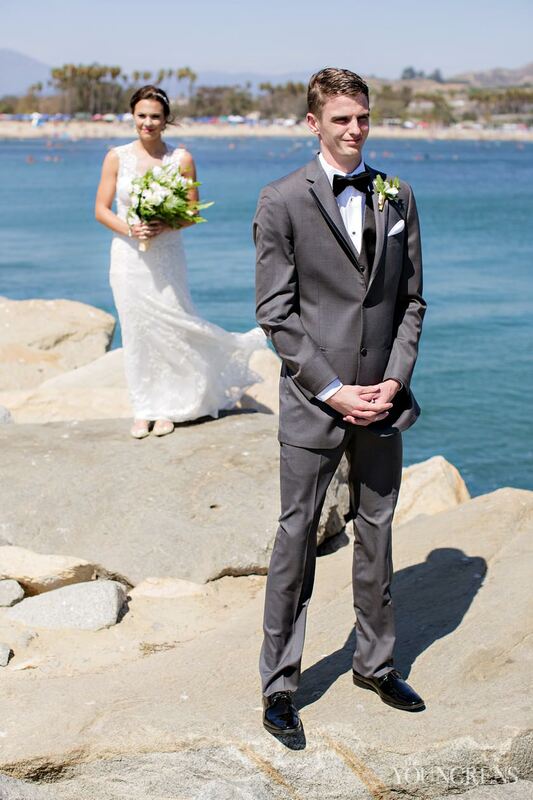 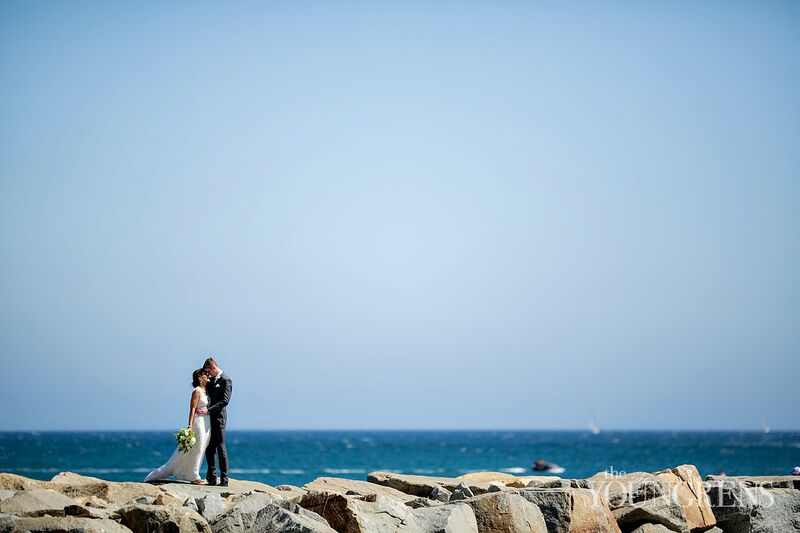 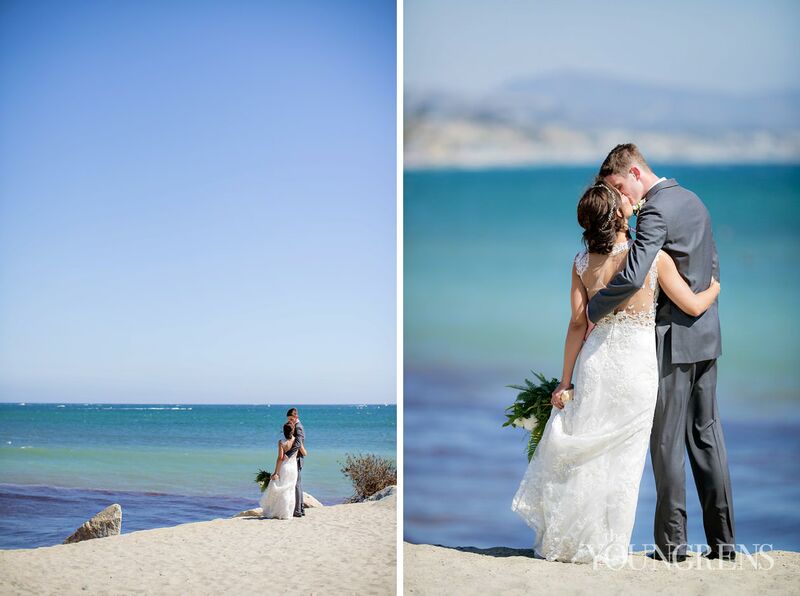 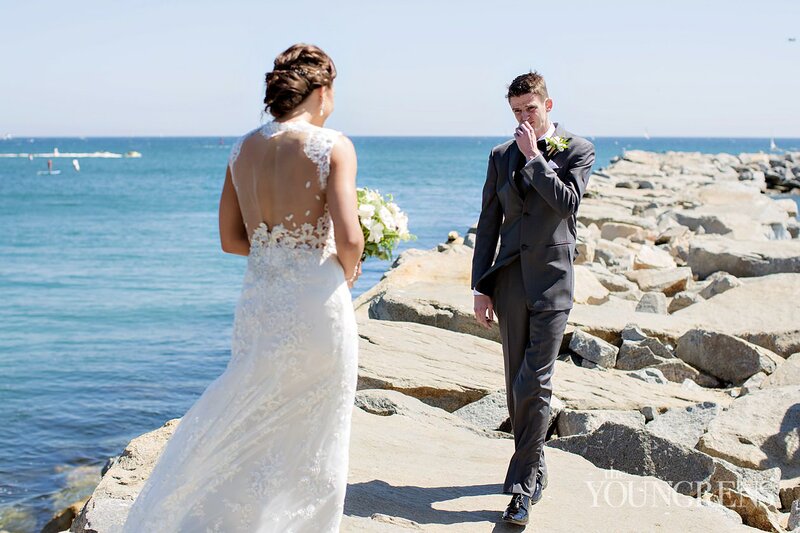 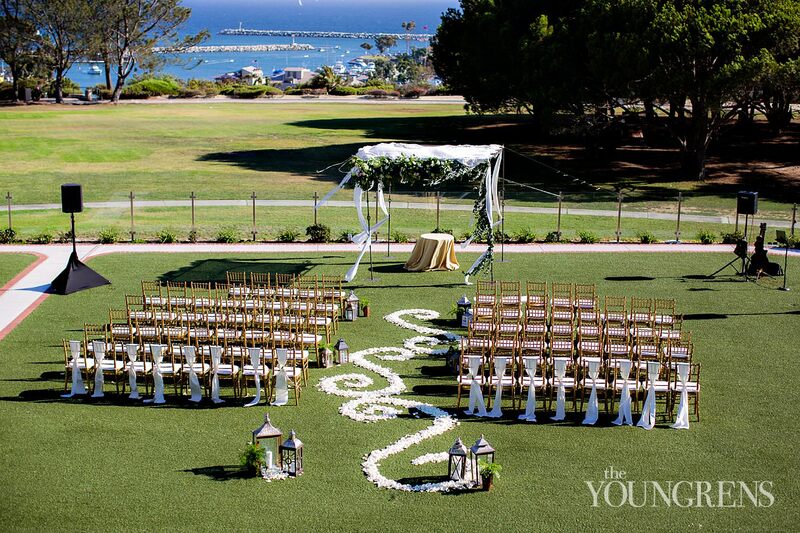 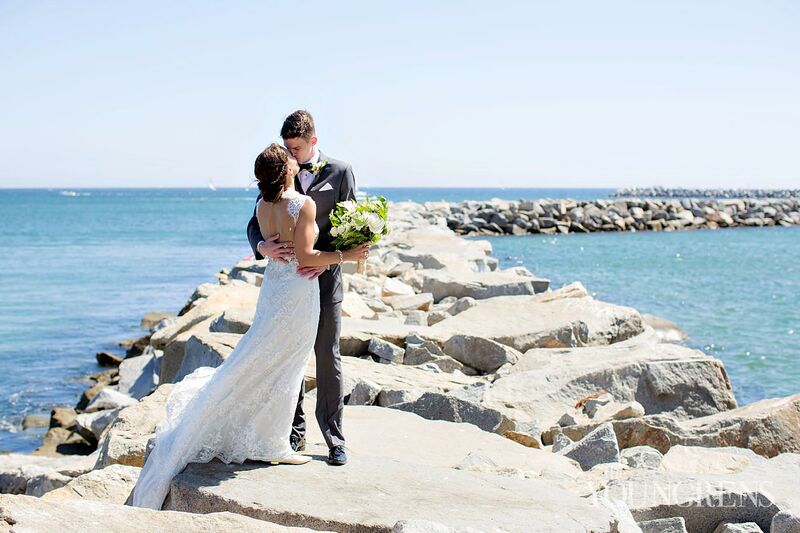 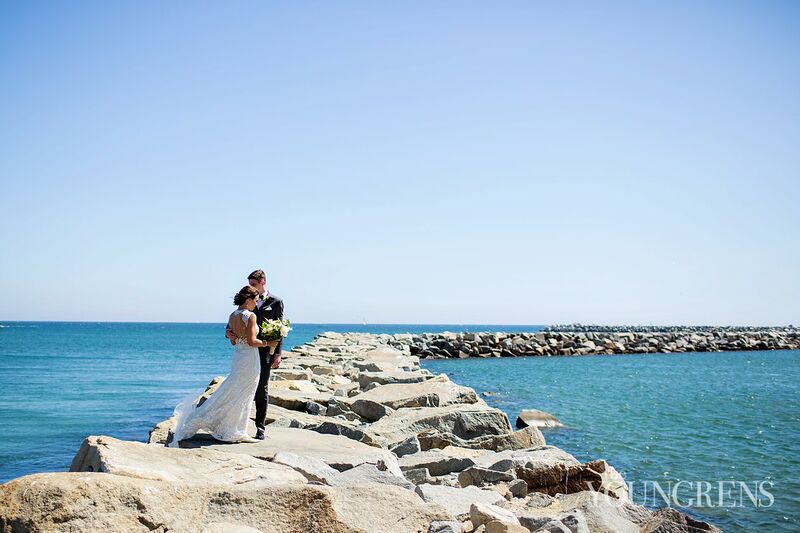 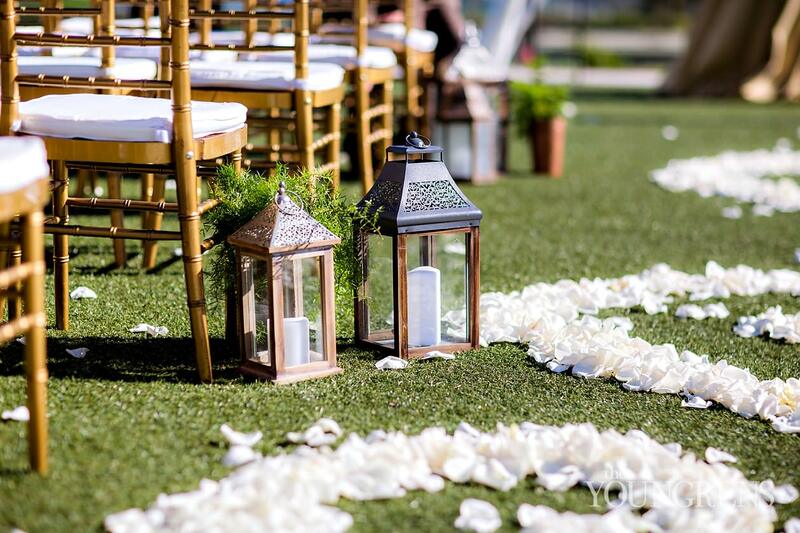 Southern California is special to them, so we made sure to incorporate it in any way that we could, including doing their First Look out on a gorgeous jetty so they could be surrounded by the beauty!! 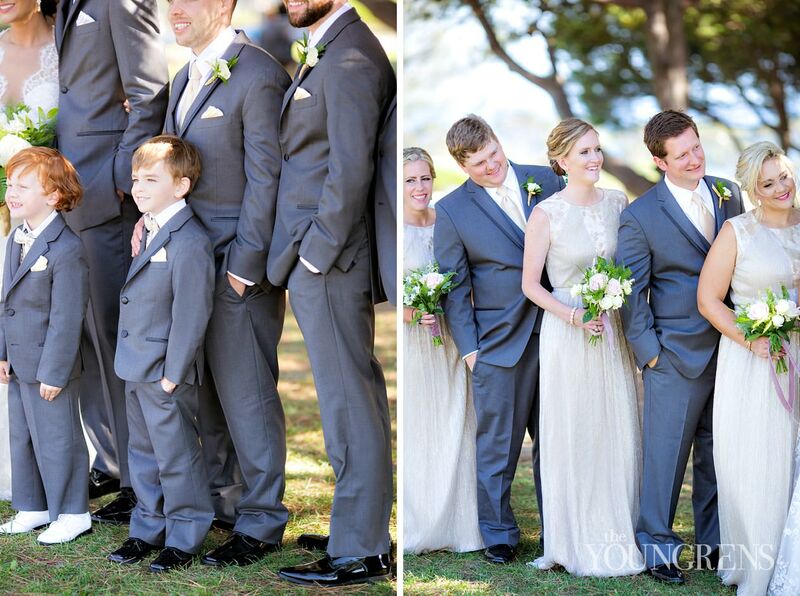 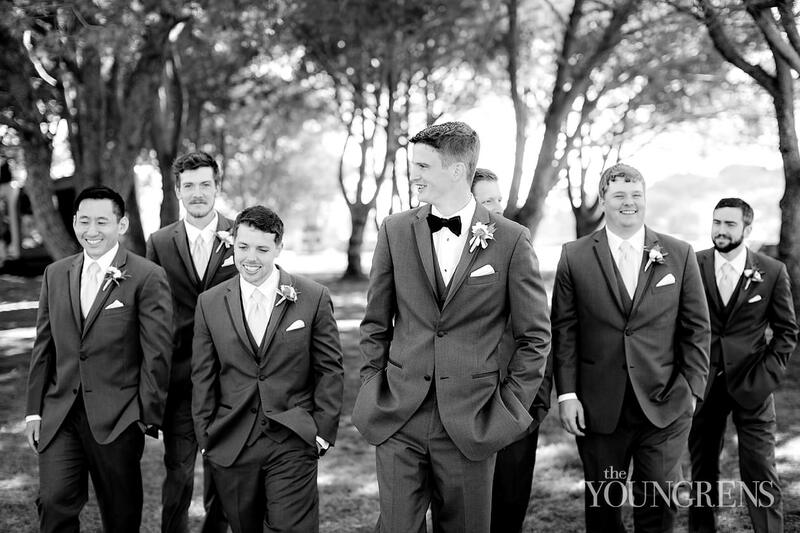 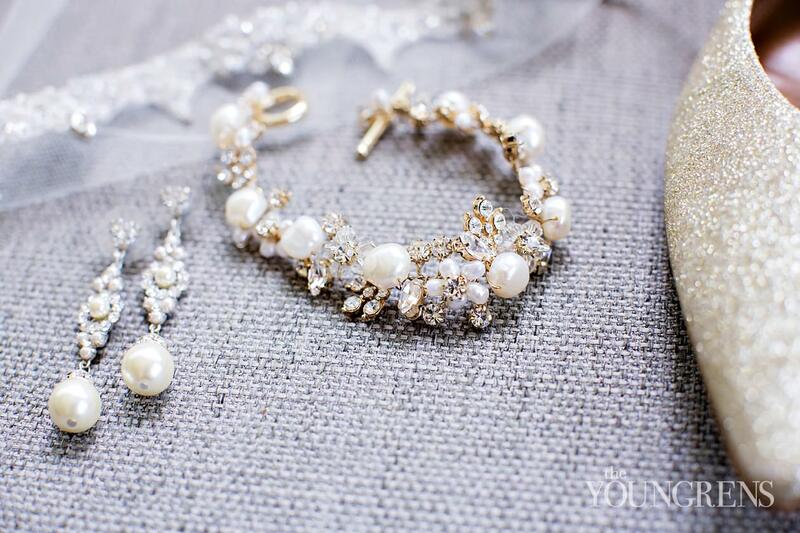 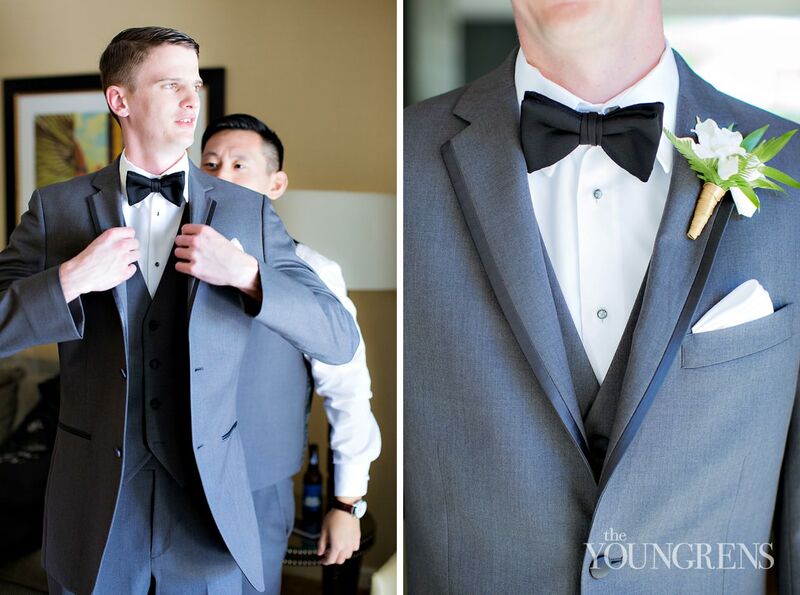 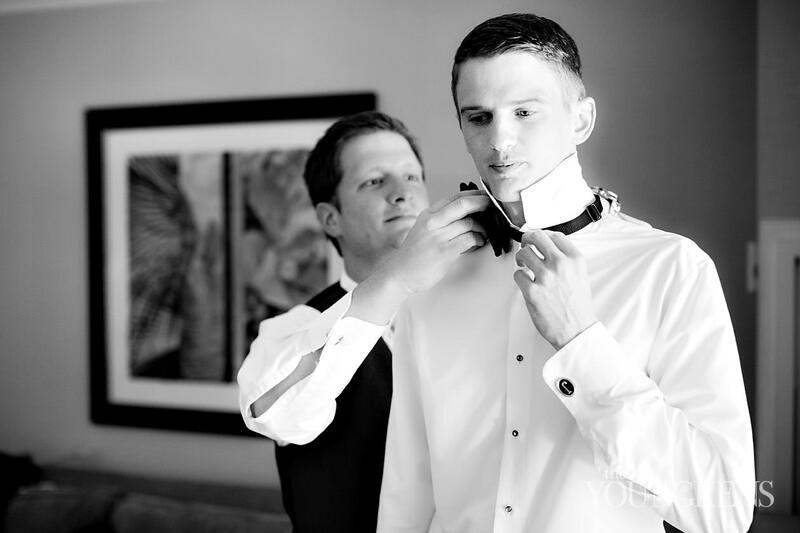 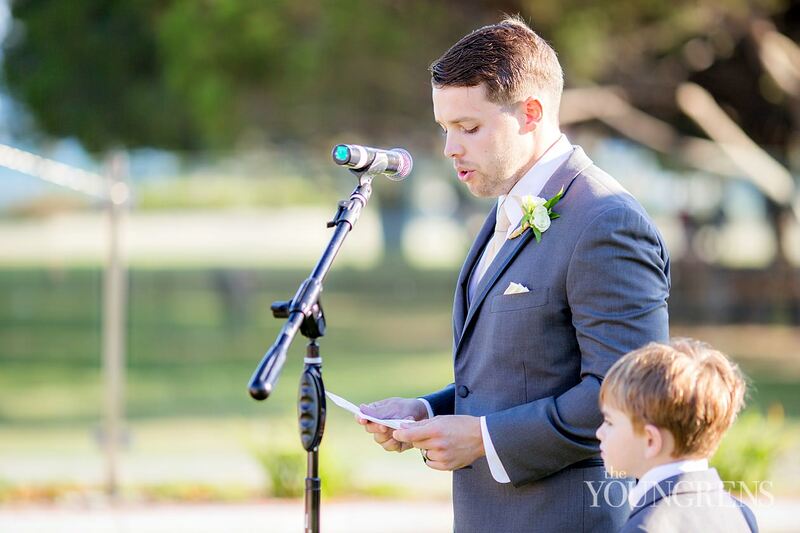 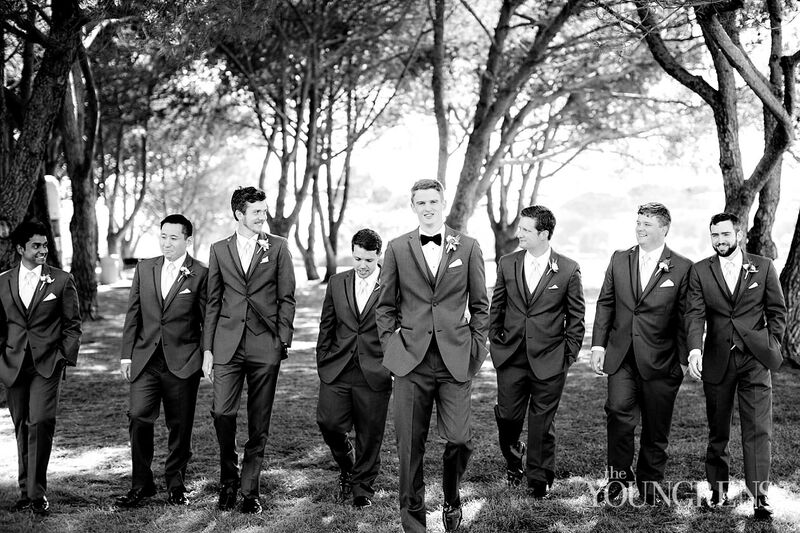 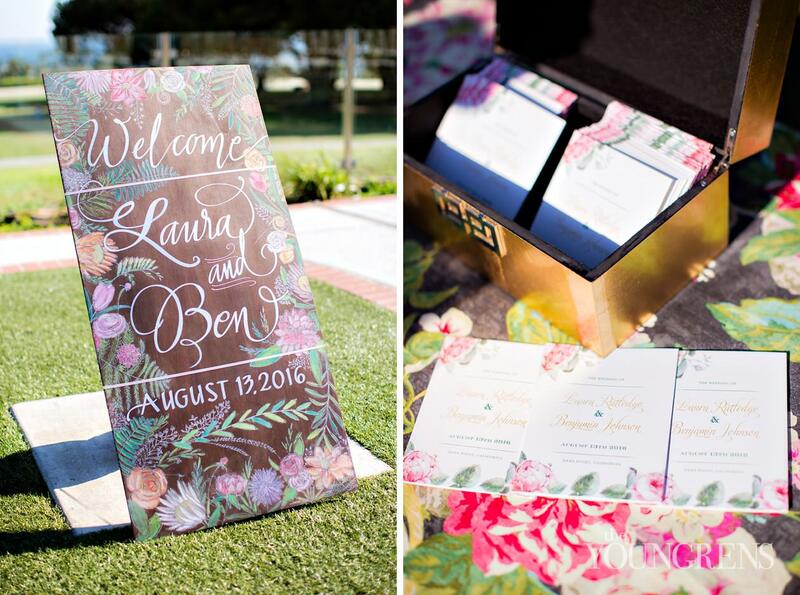 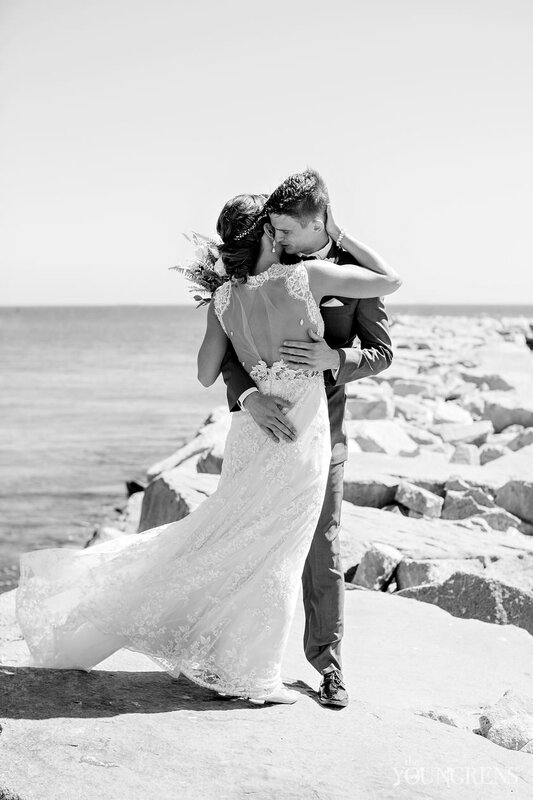 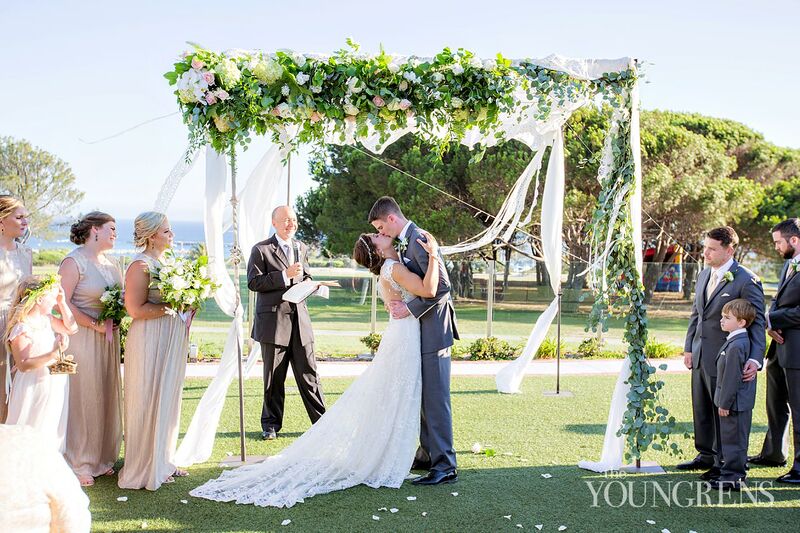 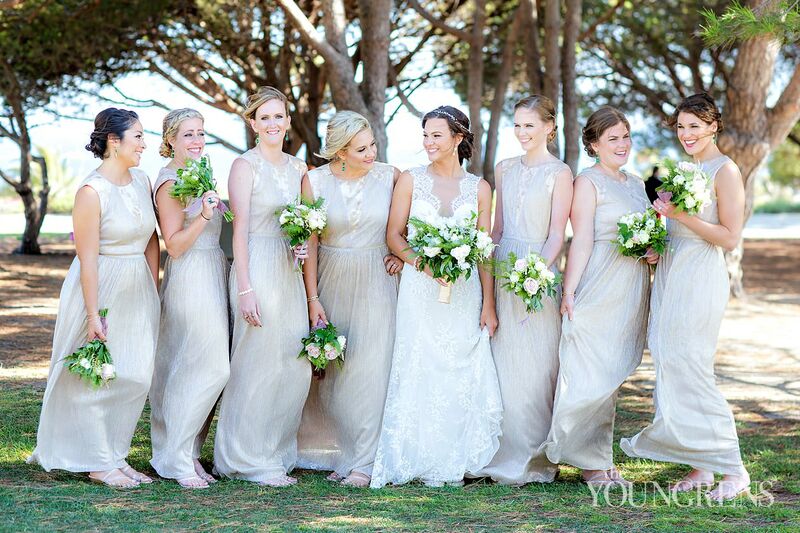 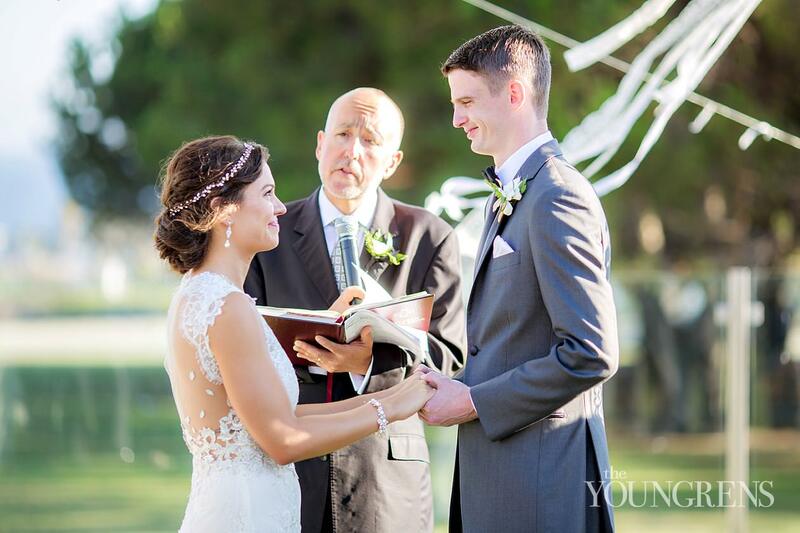 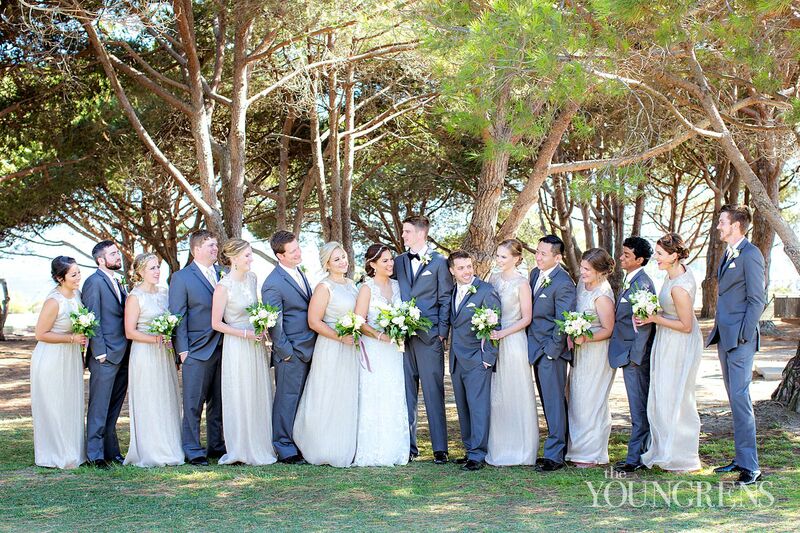 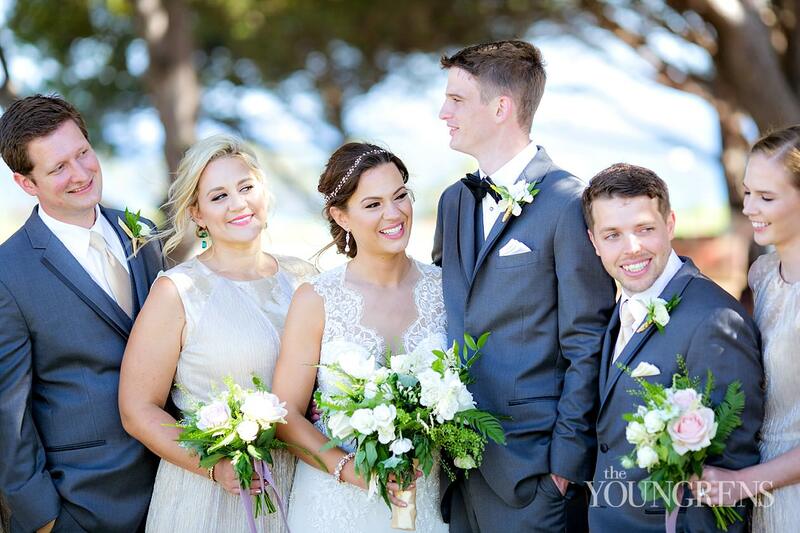 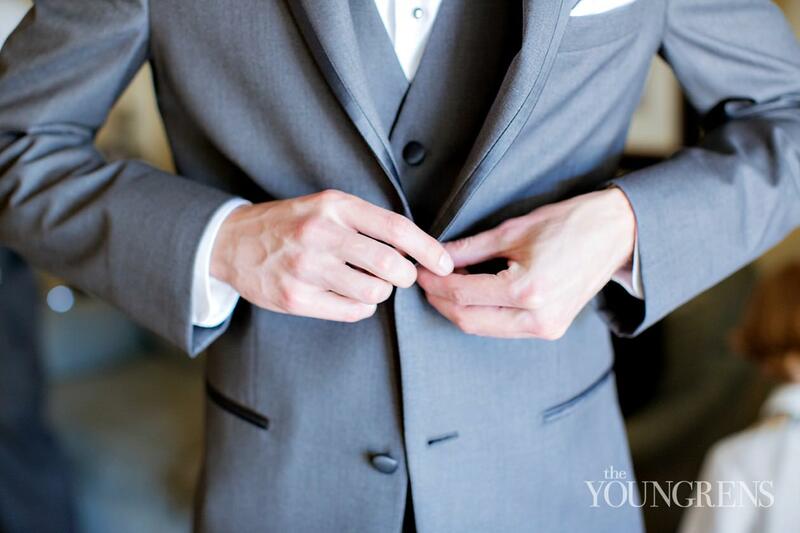 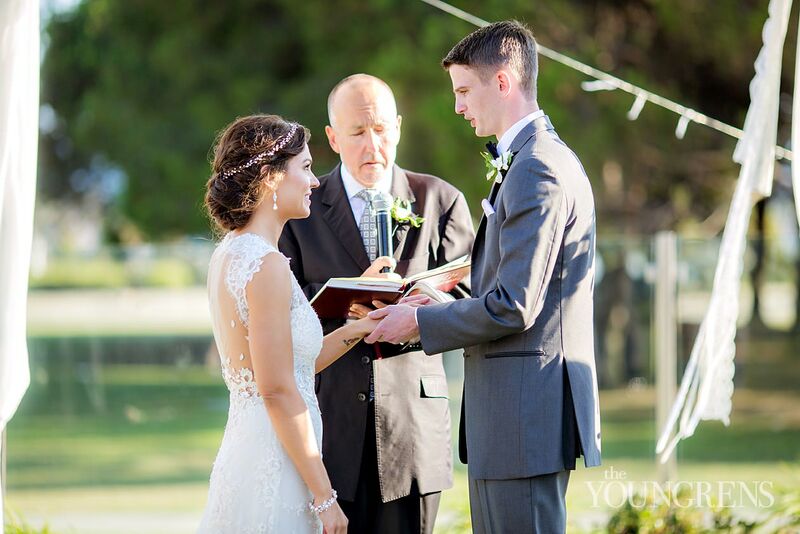 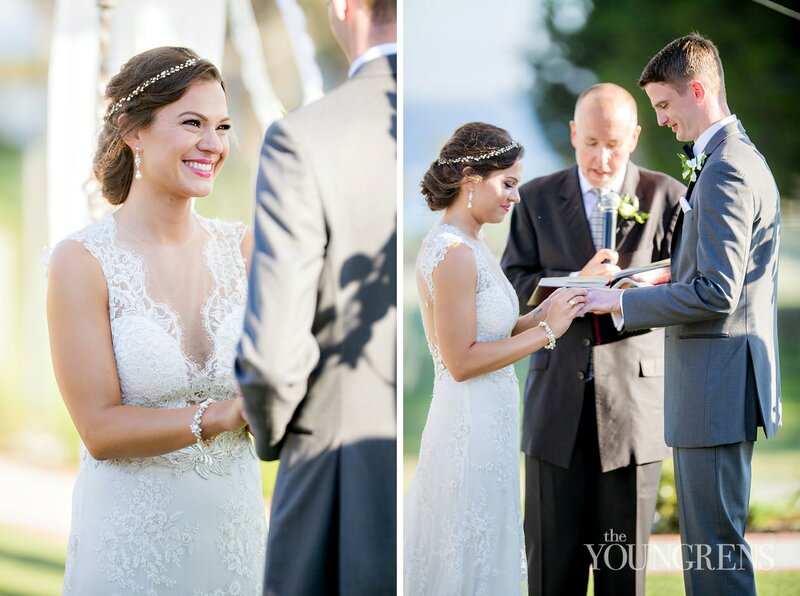 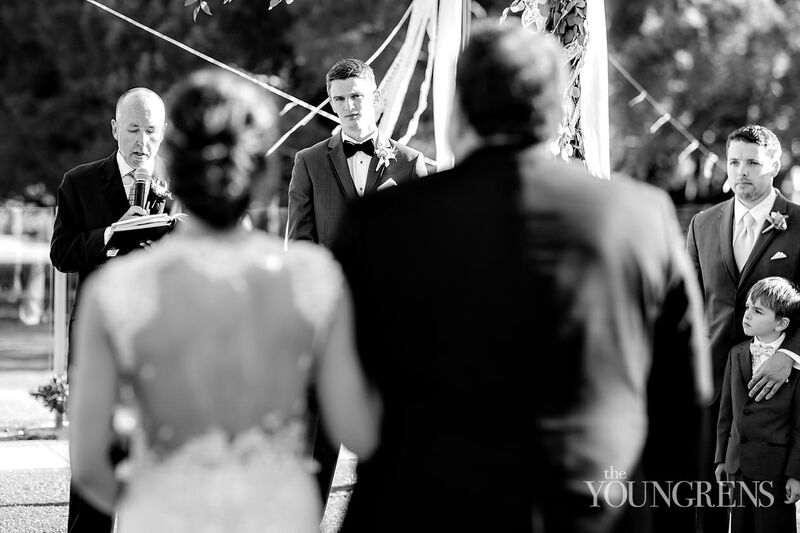 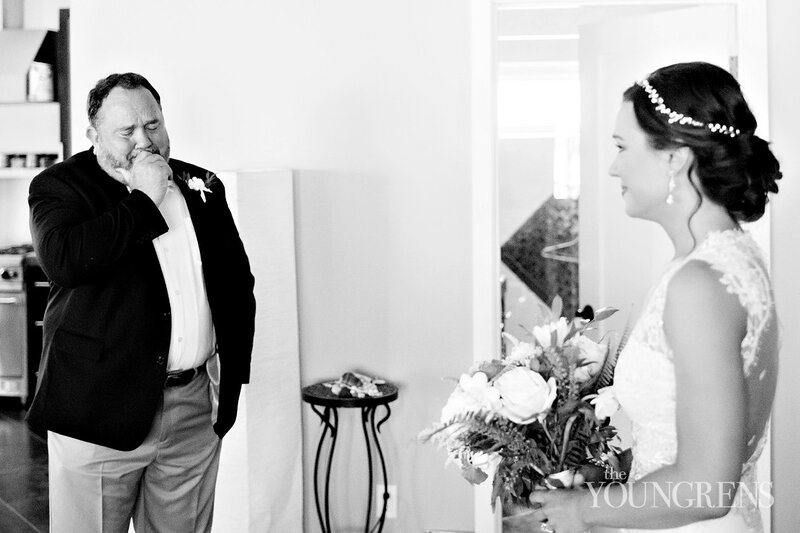 (You're going to MELT over their First Look moment! 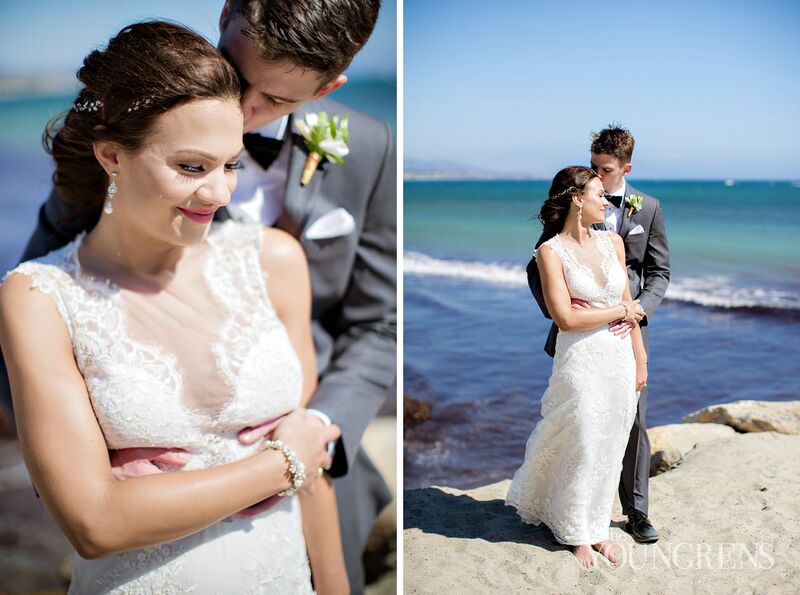 )These two are the kind of couple that make our hearts explode, because they understand what this day was all about. 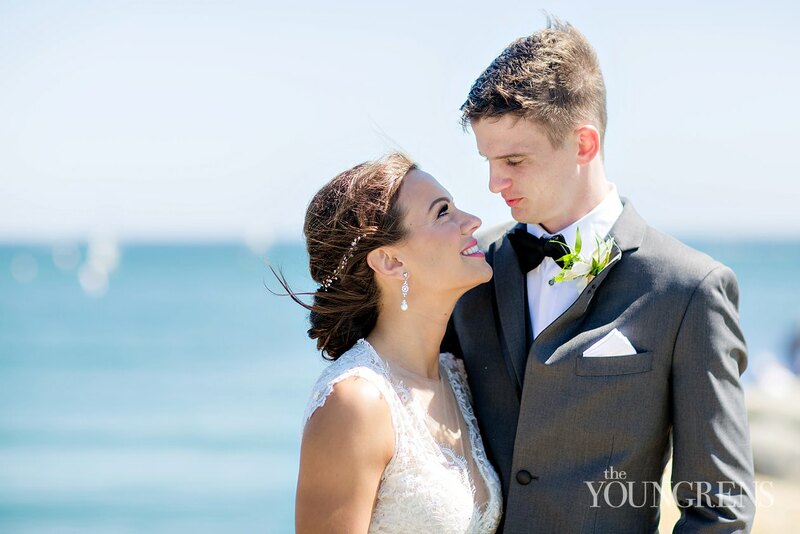 Ben and Laura have a precious view of life together, knowing that every moment is something to be cherished, and Jeff and I cried many many MANY tears with them throughout the day. 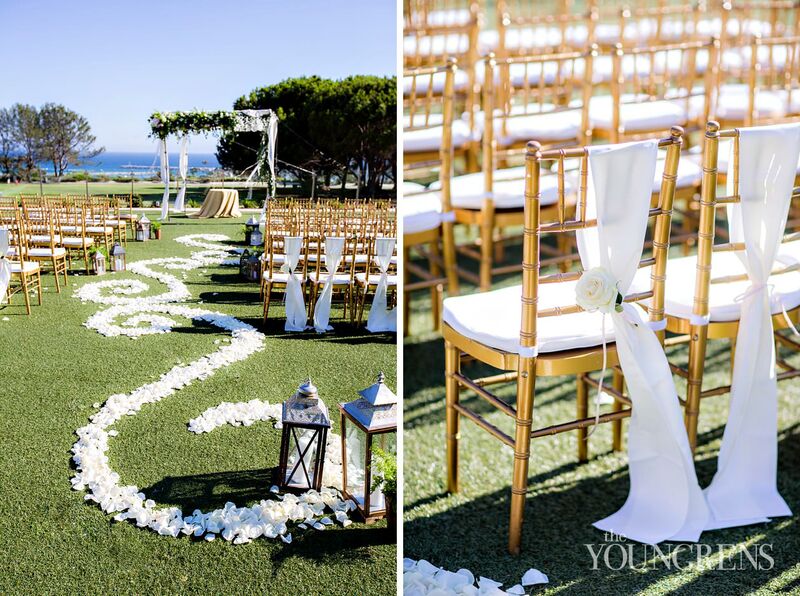 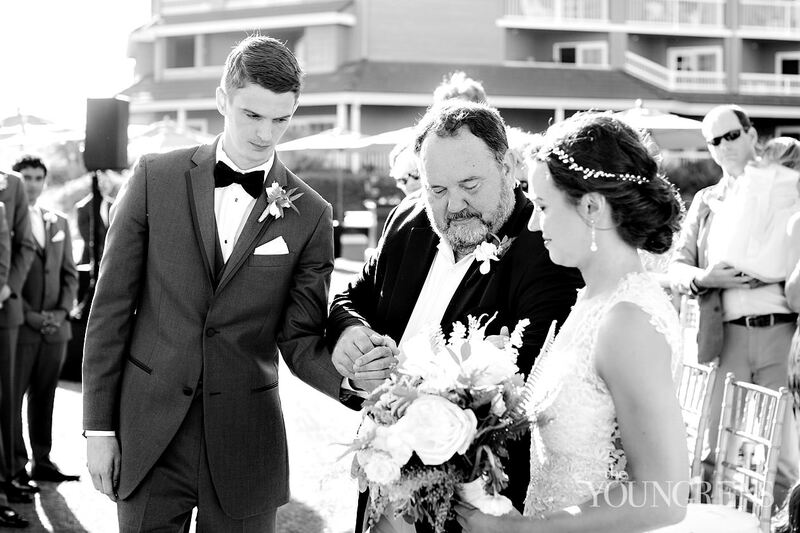 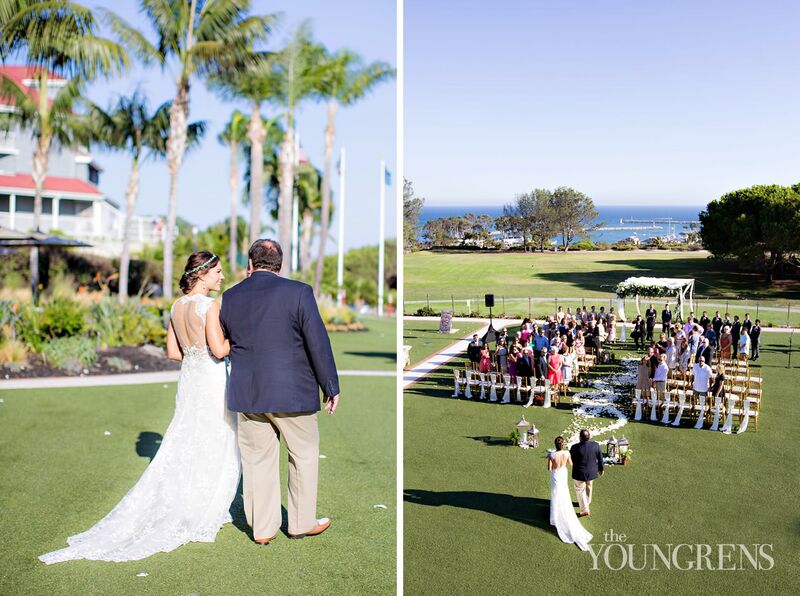 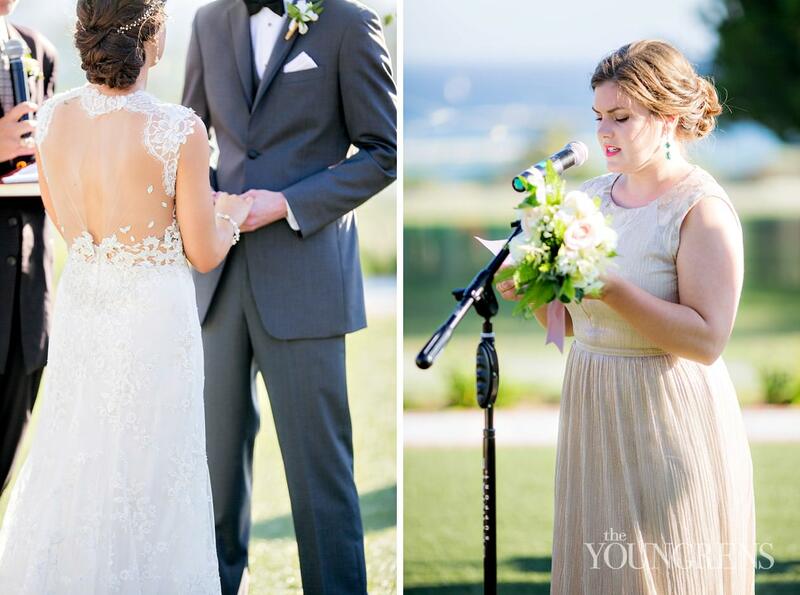 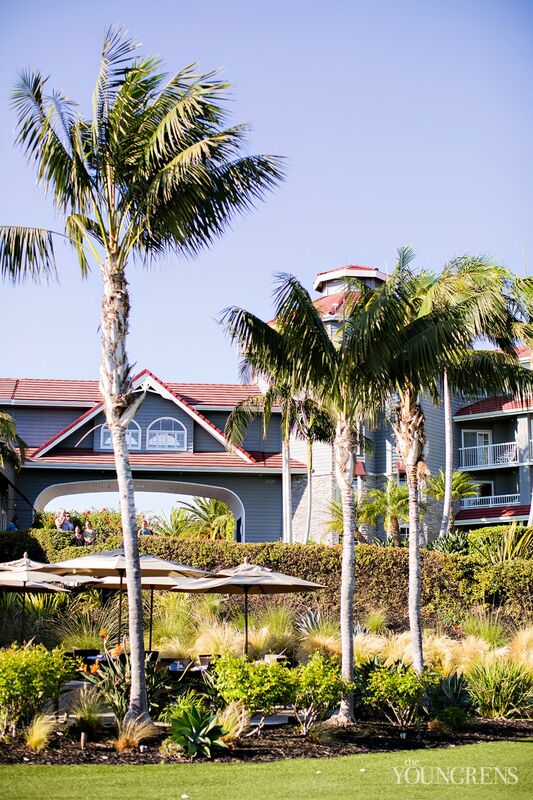 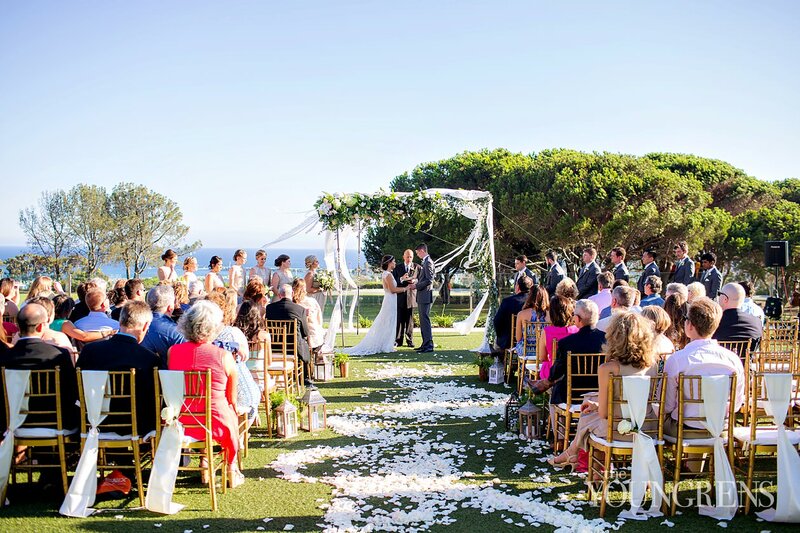 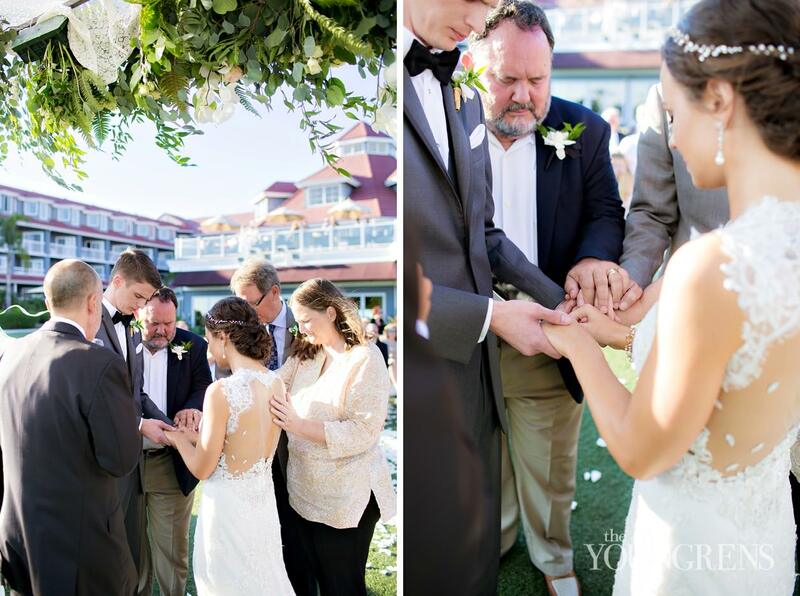 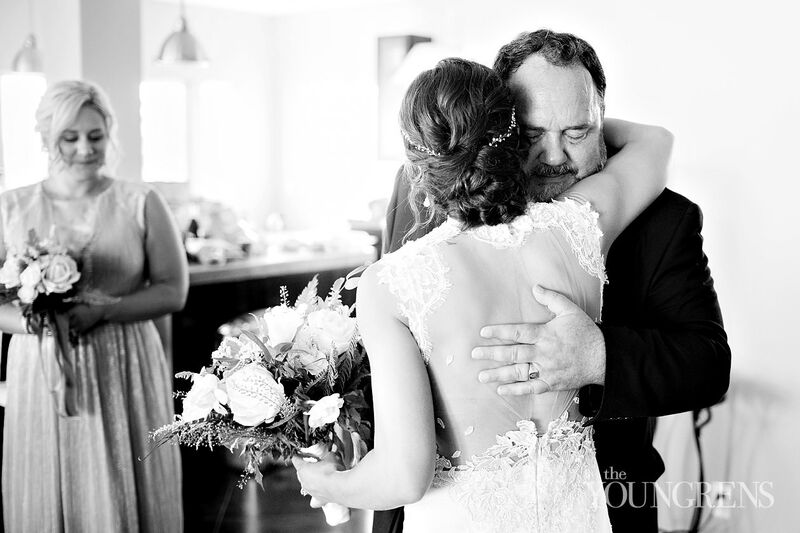 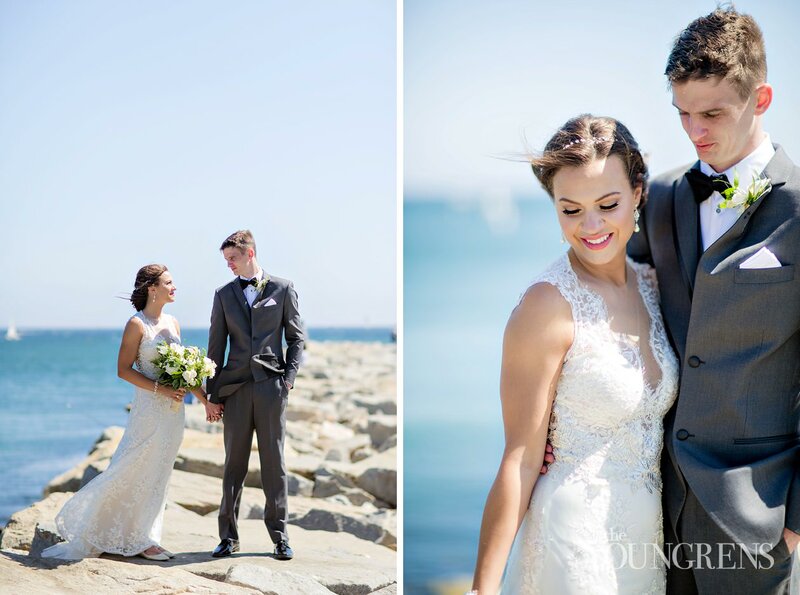 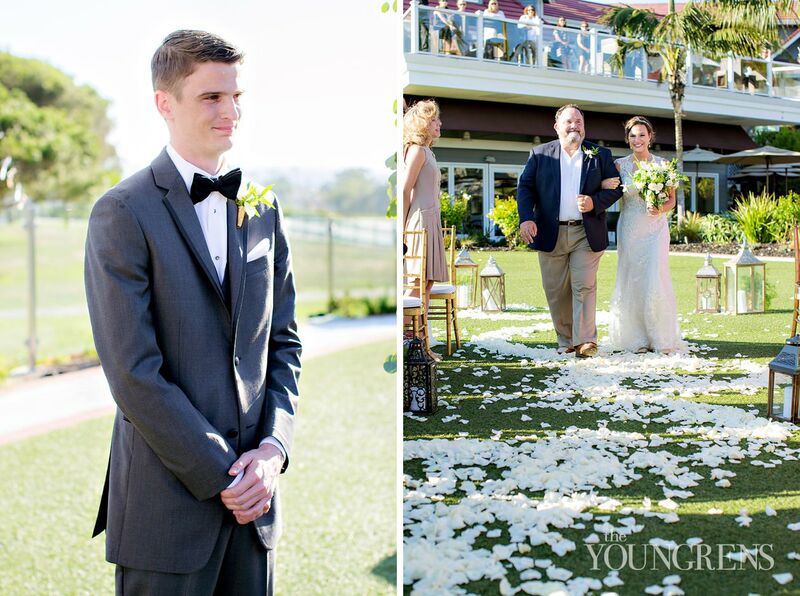 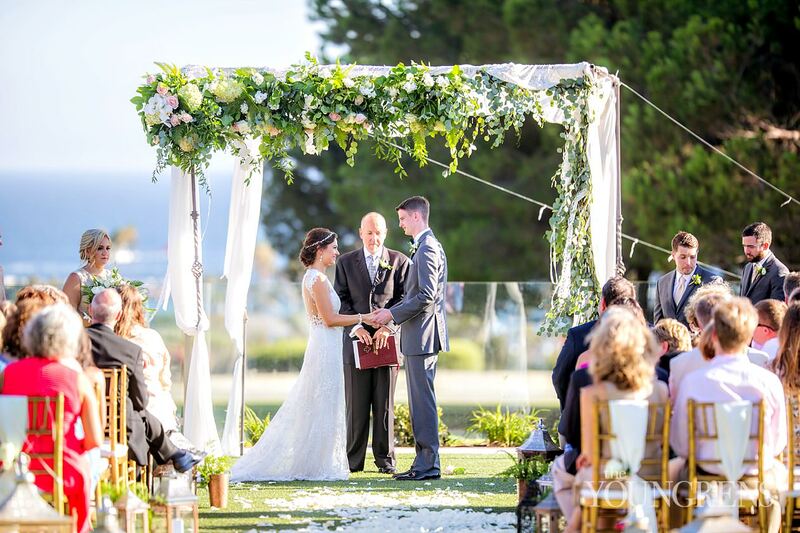 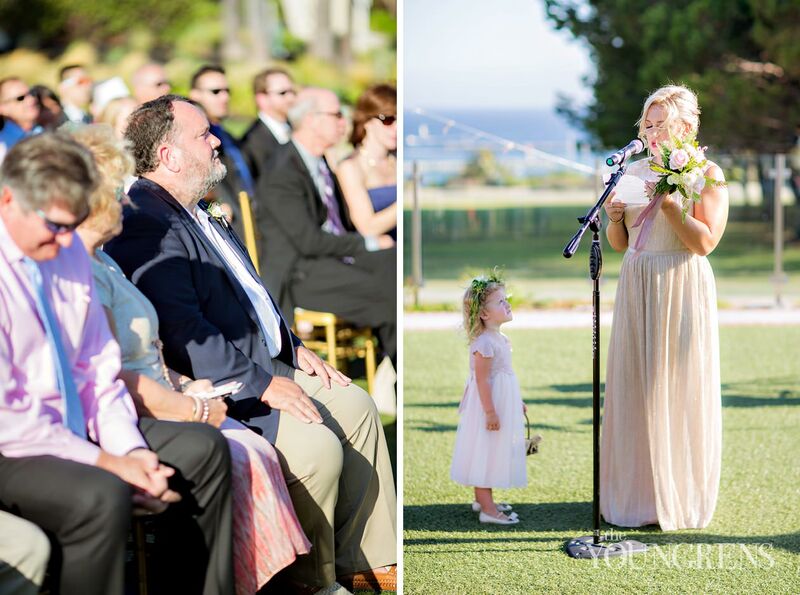 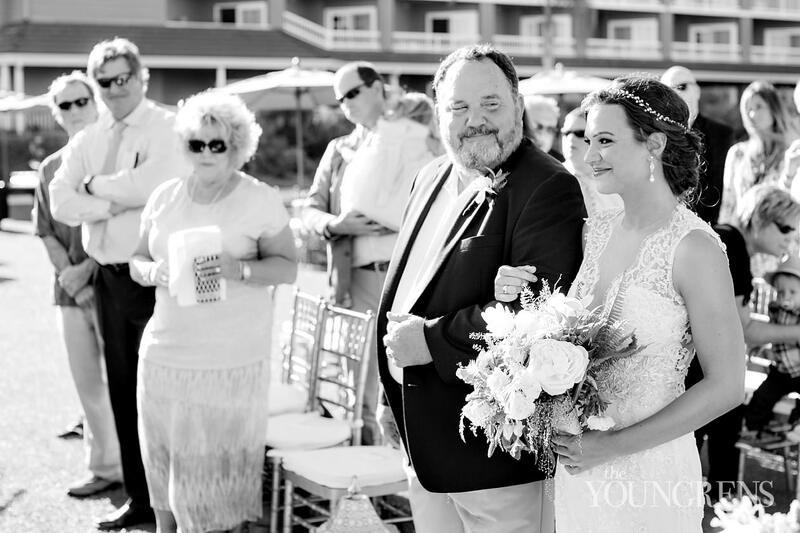 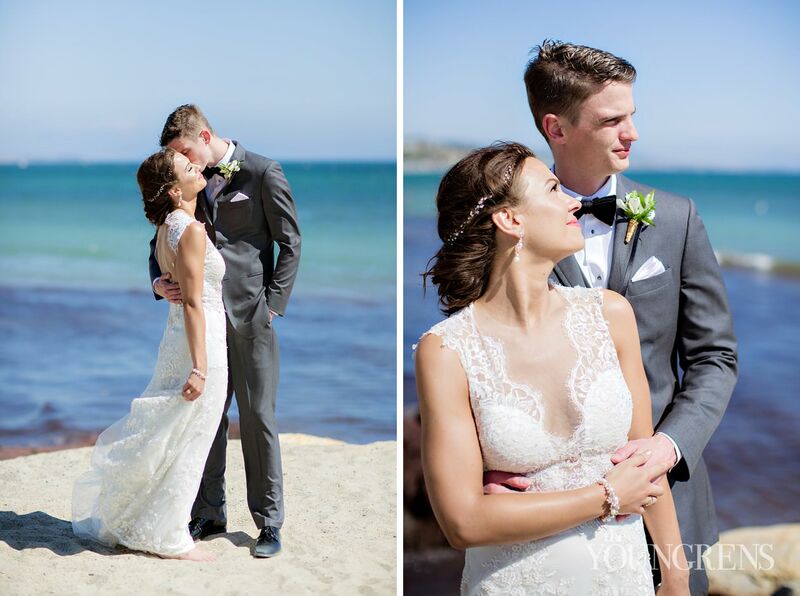 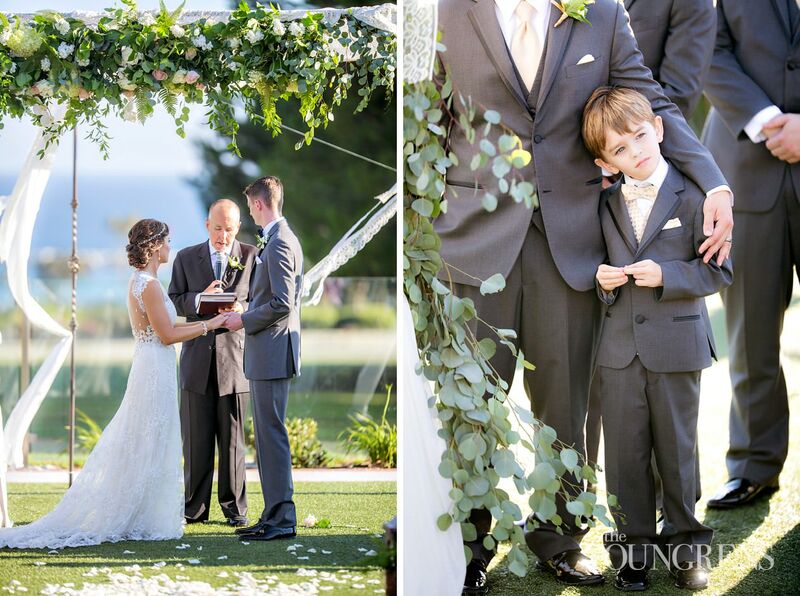 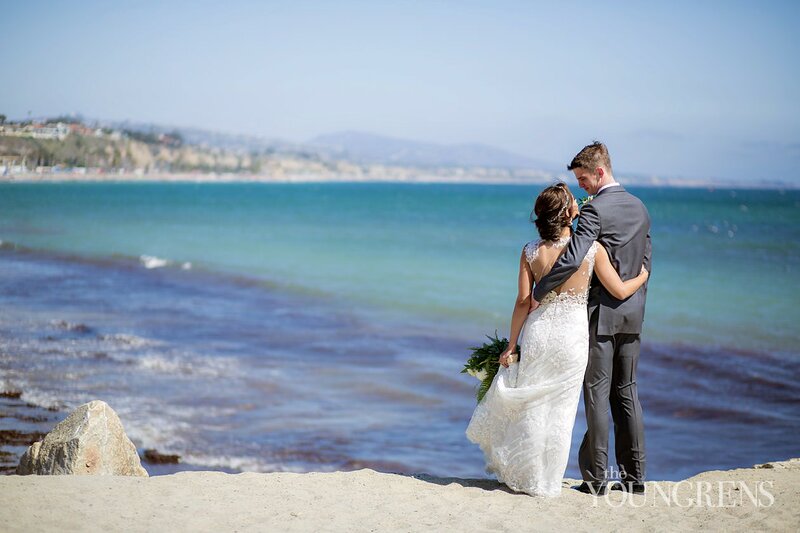 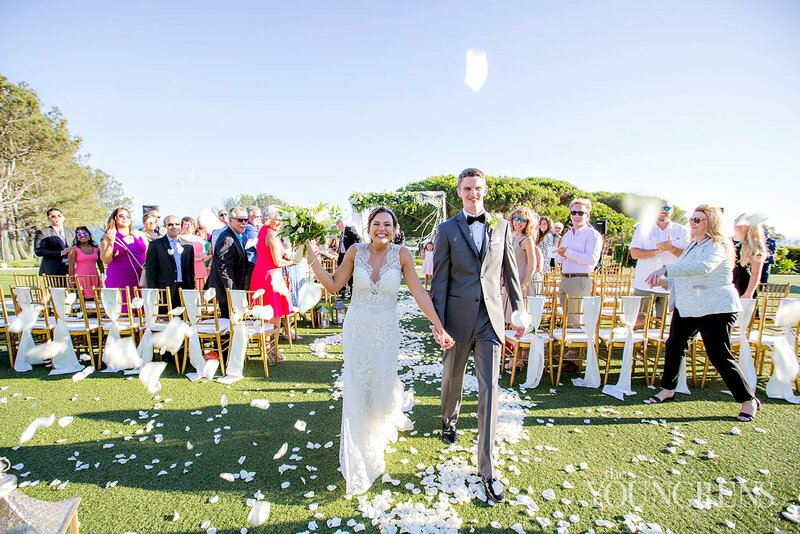 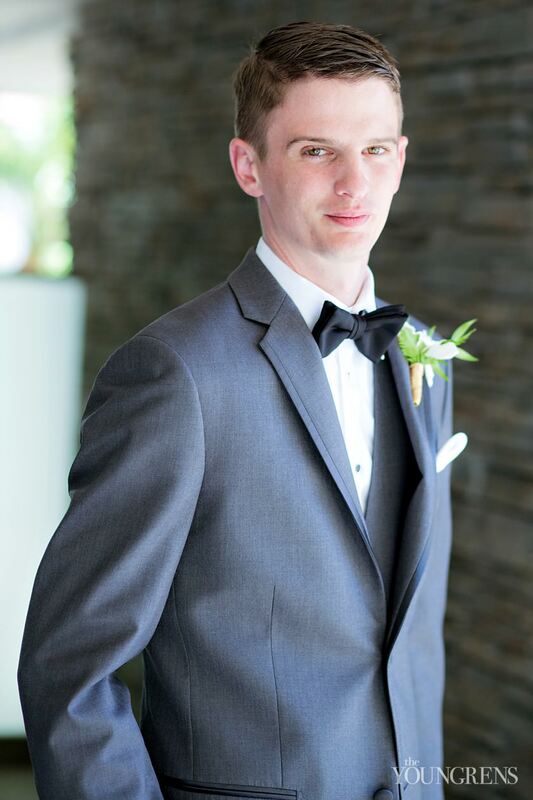 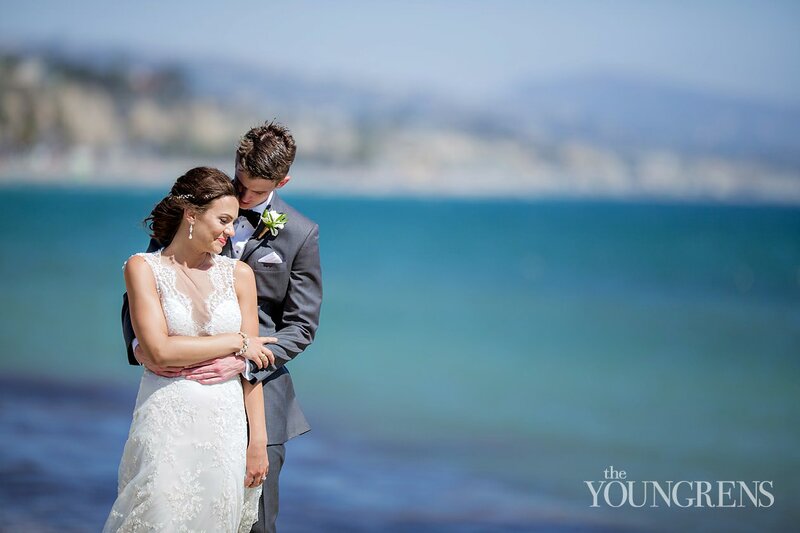 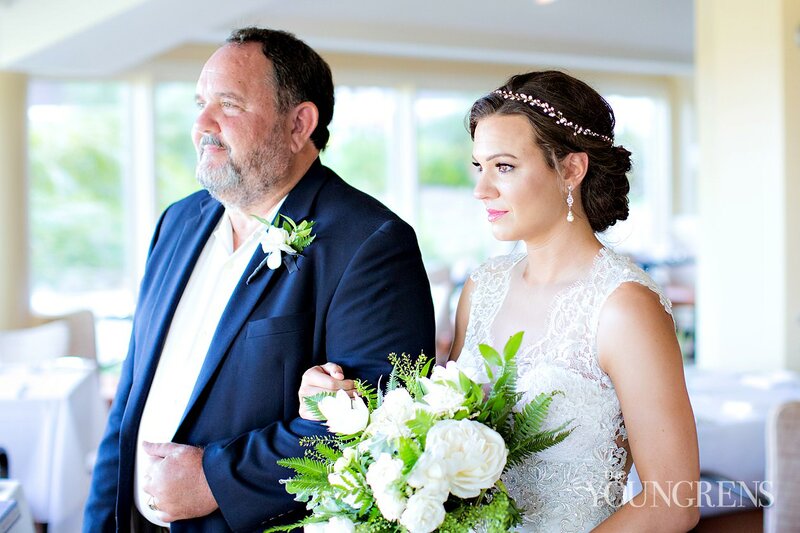 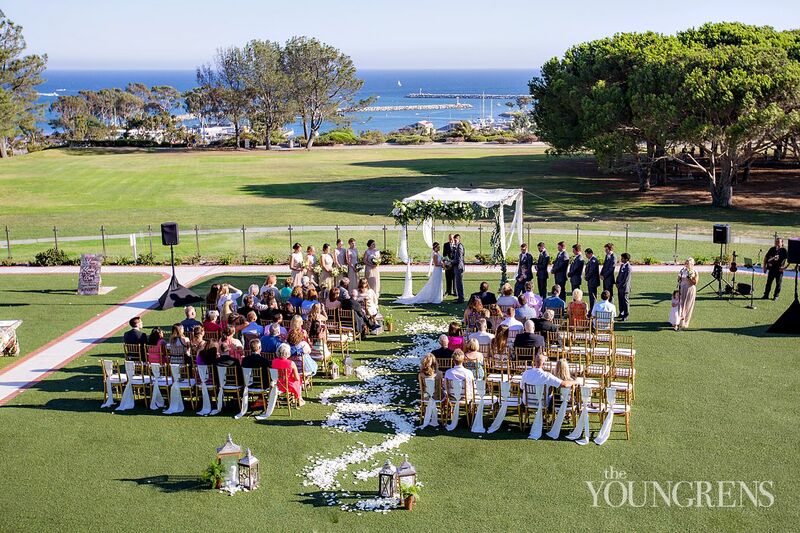 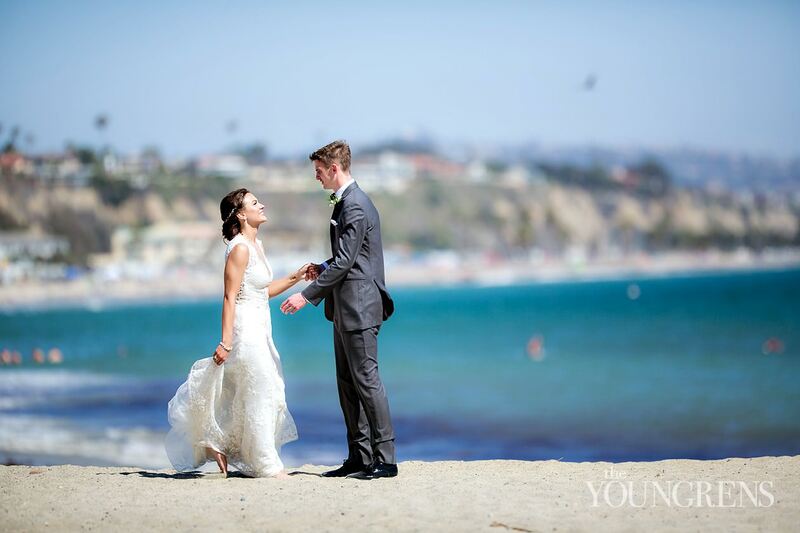 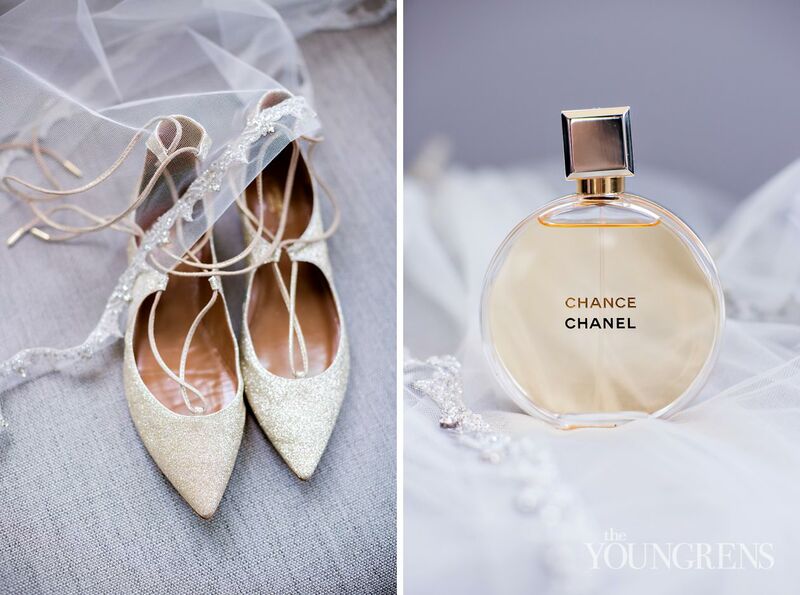 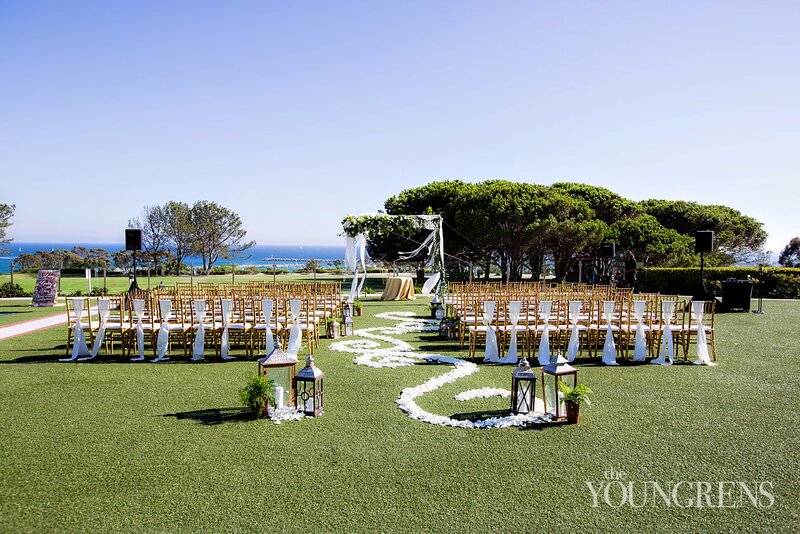 (In fact, I became an absolute mess when Laura's father saw her for the first time in her dress - grab some tissues...)The story of their family and their love and their legacy is exactly what makes us come alive!We have Susanne Duffy of Crown Weddings to thank for this incredible couple and this breathtaking wedding at the Laguna Cliffs Marriott in Dana Point. 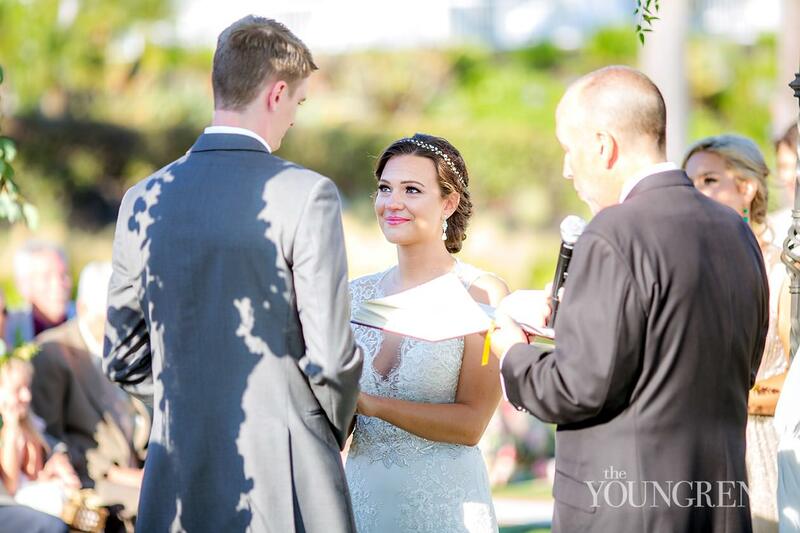 Her talent and her heart are unmatched in this industry, and we are so honored to serve our couples together! 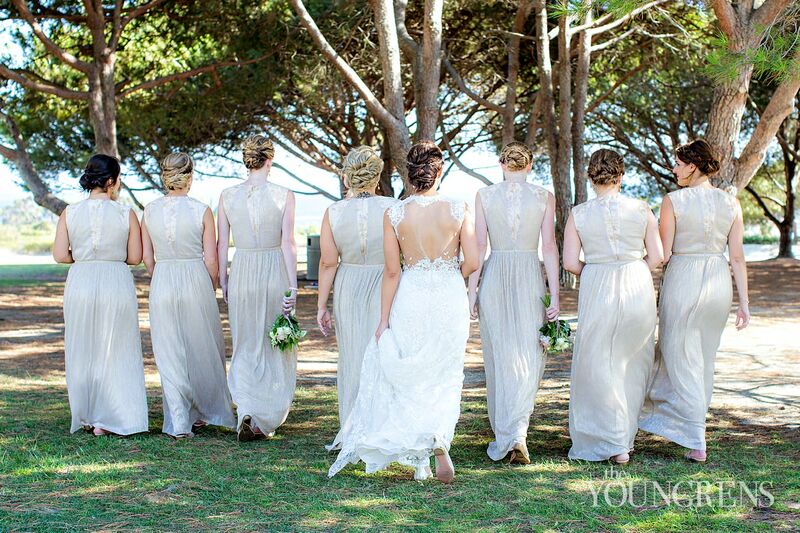 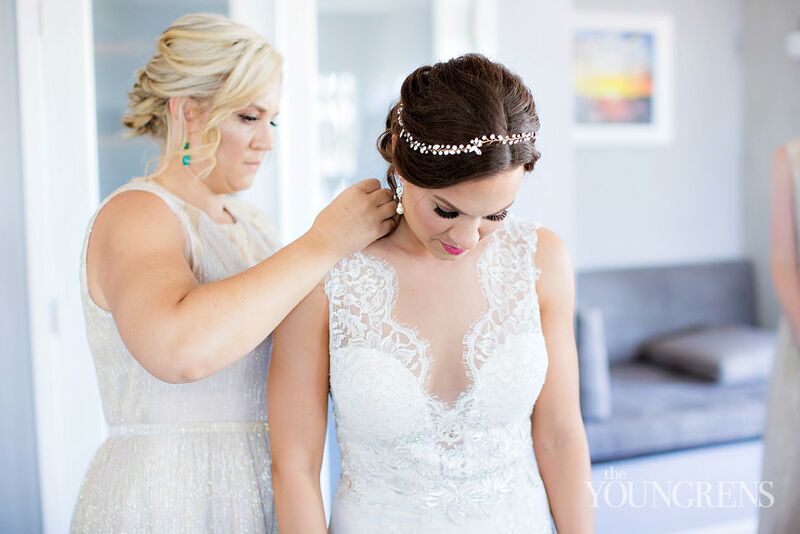 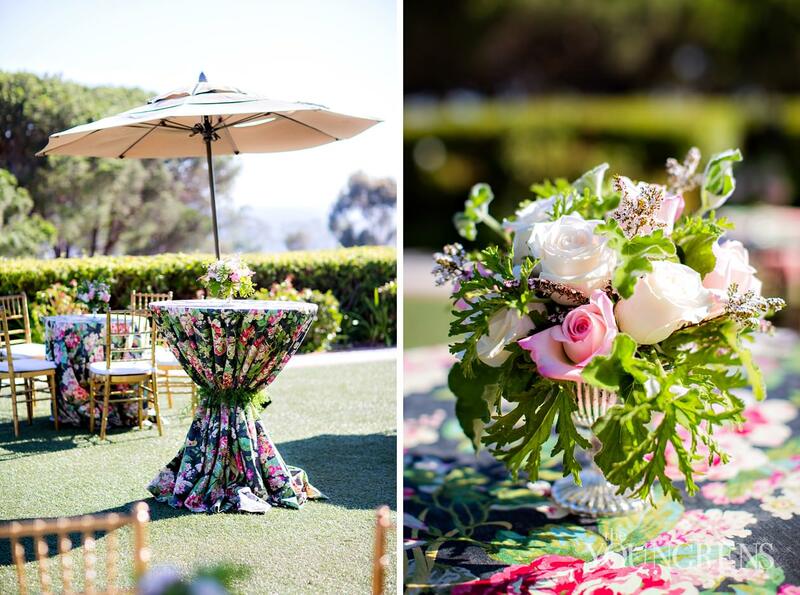 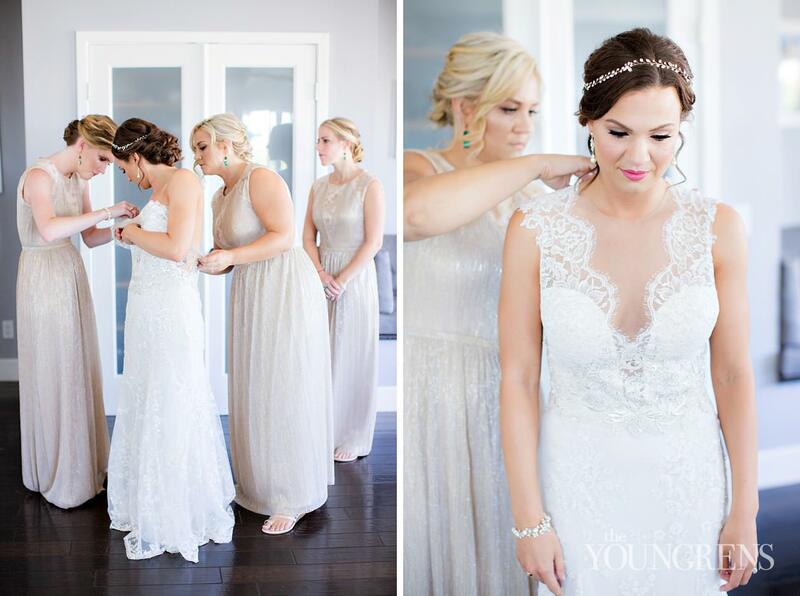 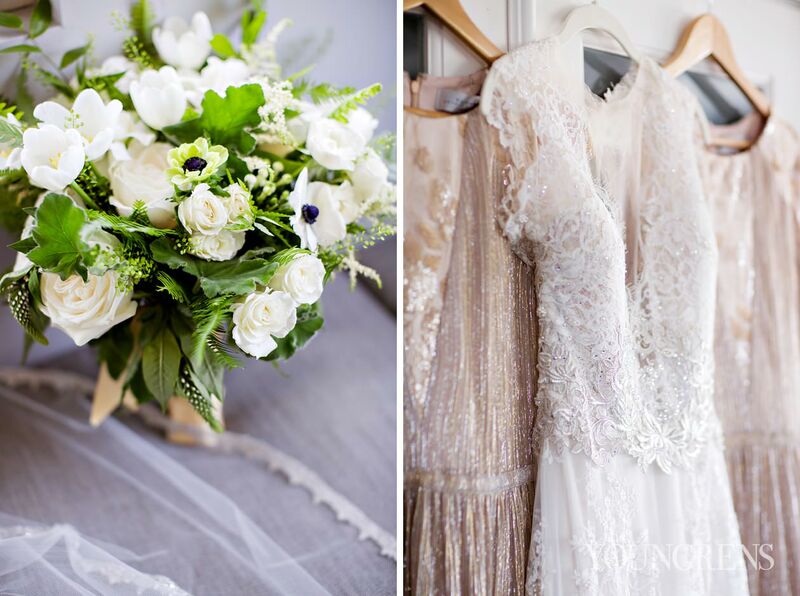 Jennifer Cole put her heart and soul into the stunning floral design and the talented ladies of Vanity Belle made Laura look gorgeous!Take your time looking through this wedding, my friends. 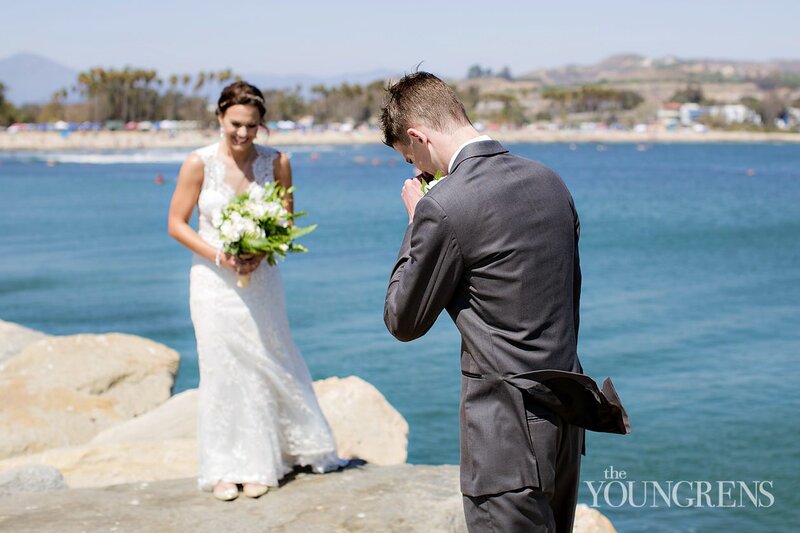 It's going to fill your heart to bursting!